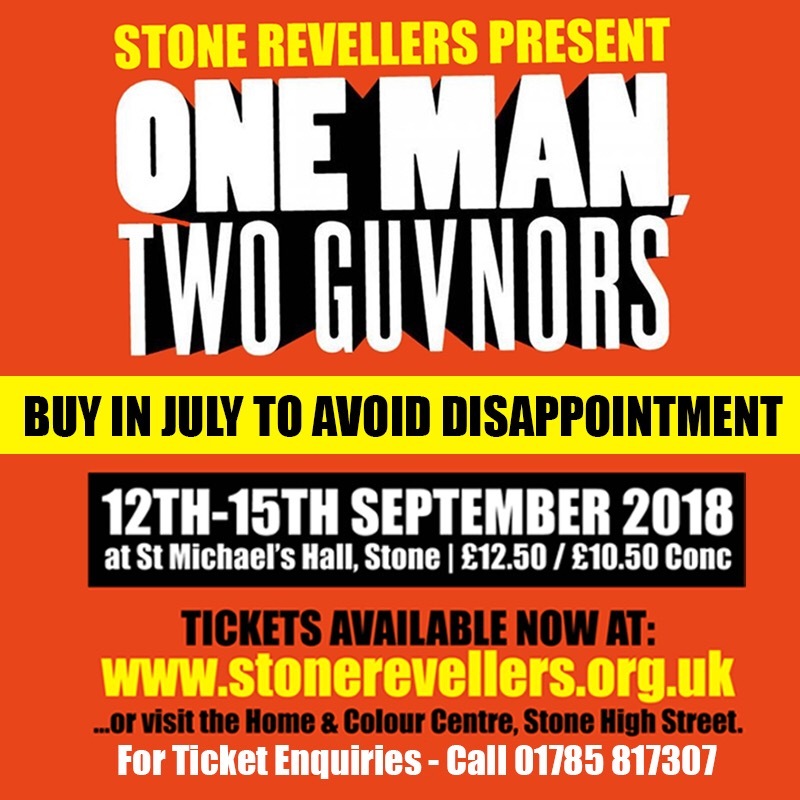 Amazing comedy in Stone for just one week this September: One Man, Two Guvnors. Presented for just one week this September at a converted studio theatre space just off the bottom of Stone High Street, limited tickets remain for an incredible night of comedy. Our next production “One Man, Two Guvnors” is going to be very special. 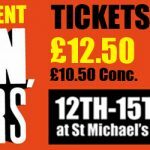 The play itself follows the story of Francis (Alec Voss) who gets himself into a lot of trouble after taking on two jobs – both turn out to be with high profile gangsters. All is not what it seems as events become more and more confusing for Francis, who tries desperately to stay on top of his lies and serve both Guvnors at the same time! 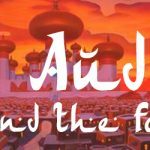 It is impossible not to laugh at this outrageous script – and the show is suitable for just about anybody with a sense of humour. For this one, we have decided to transform the hall again with a split stage, literally putting the audience right in the middle of chaos (for maximum side-splitting enjoyment!). 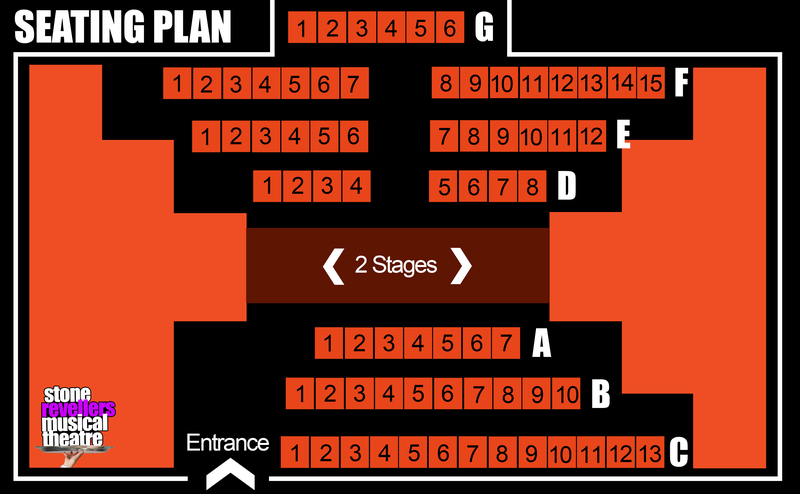 As you can see from the seating plan – there isn’t a bad view in the house BUT there are not many seats and they are selling well. Revellers productions continue to grow in popularity and we expect to sell out completely within a few weeks, so don’t miss out and get your tickets now! It’s so easy to buy online – click here to buy yours securely and with no booking fee OR head into Home & Colour to buy them in person. We can’t accept reservations but you can confirm your seating preferences on 01785817307 before you pay online should you wish. Please come and join us for an outrageous adventure at St Michael’s Hall this September. We look forward to seeing you there! 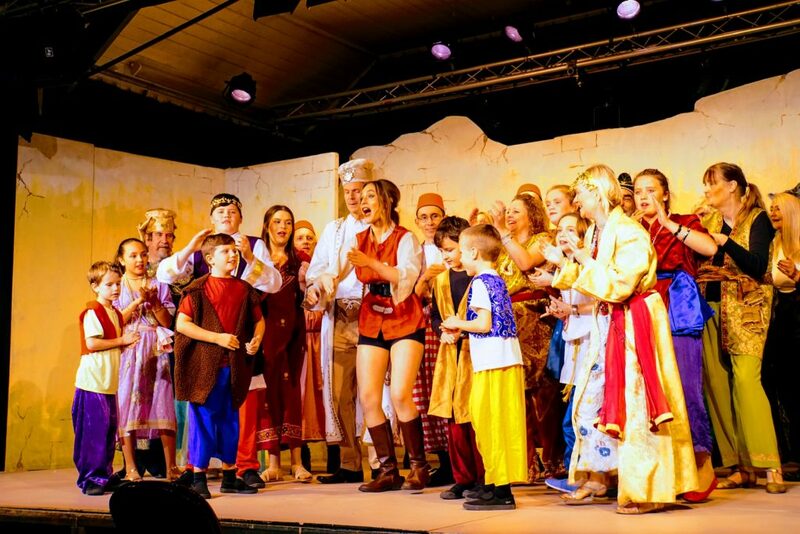 Come and AUDITION for the Panto - this week!